We visited Circadia's London offices and sat down to talk with CEO and co-founder Fares Siddiqui. “Sleep technology itself is booming [but] sleep monitor technology is actually all over the place. Apple have acquired Beddit. Hello Sense going bust. Just look at the Fitbit stock price over the last five years and you’ll see where it’s going. 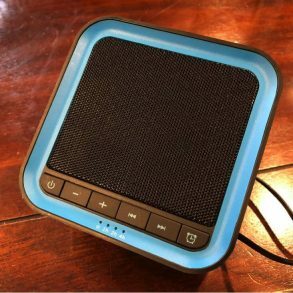 “So, the issue with sleep tracking in general is that there is this first wave or first generation of over simplistic tracking technology,.. [but] no one gets information on how they can actually improve their sleep. Having already caught the attention of sleep industry giants like Fitbit, Samsung, and Casper, Circadia recently raised over $200k on Kickstarter (now at In Demand at Indiegogo) the product itself consists of a contactless sleep tracker that lives in your bedroom, a portable LED light therapy lamp and a smartphone app. Circadia uses clinical-grade sleep analytics to create a model of your internal body clock. Machine learning algorithms can then create a personalized sleep therapy plan using the science of light therapy. So how and why did the founders decide to use light as a means to improve sleep quality? 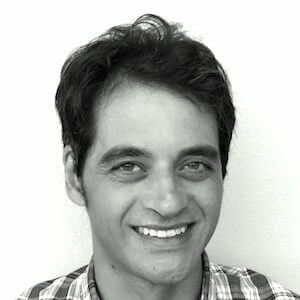 Circadia began with a personal connection – Siddiqui suffers from delayed sleep phase syndrome (DSPS) – a circadian rhythm disorder which affects around 15% of the population. DSPS causes a shift in your body clock, making it hard to fall asleep and wake up at ‘standard’ social time. Unable to sleep til 3 or 4am, the founder tried behavioural methods – sleep hygiene and Cognitive Behavioural Therapy – to little avail. So, with degrees in mechanical engineering and product design, and a hobbyist and maker’s mindset, Siddiqui set about trying to build a solution for his sleep problems. “And so, I built this prototype of a lamp and then I bumped into an acquaintance of mine who was doing a Ph.D. from Oxford in Circadian Rhythms. And he mentioned, that light and the colour of light affects our circadian rhythm, and obviously like everyone else, I thought, that’s a placebo, it can’t be true. “There’s a reason why we feel happy on a sunny day and we feel gloomy when it’s dark outside, and there’s a biological reason behind it. And the reason is that light is the single biggest external factor which affects our body clock, and our body clock controls the release of hormones such as melatonin which makes us drowsy and cortisol which keeps us alert, as well as dopamine and others. The team tried out various form factors and prototypes but eventually settled on disk-shape for both the tracker and the lamp. “We could have made a light bulb. We could have made a desk lamp. Why didn’t you make one? The answer is we made those prototypes, we tested them. But then we settled on this new product archetype because we realized we’re not a lighting company we’re a sleep company making a therapy product so we need to follow what science says, what the human biology says. “So yes, the LEDs are basically picked according to what biological parameters we need to reset the circadian rhythm. There are two things to remember, there’s one which is preventing your body clock or your circadian rhythm from being shifted -Apple Night Shift, Flux, all those programs do that, with blue light filters. A neat aspect of the design process at Circadia is the way the technology is designed to work slickly in the background. 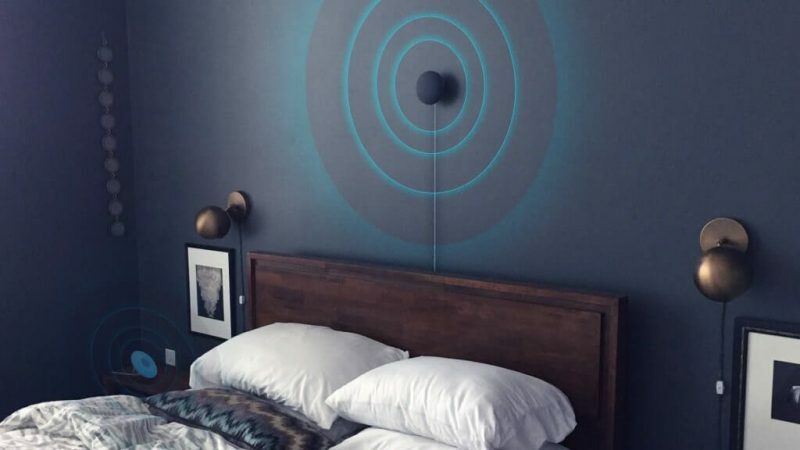 OK, so that’s the lamp – what about the sleep sensor? 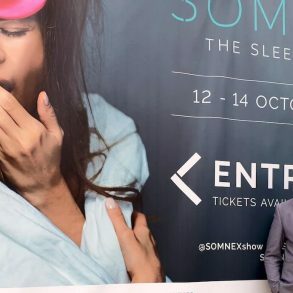 After months testing their competitors’ products, Siddiqui along with fellow co-founder Michal Maslik settled on a contactless sensor, that doesn’t rely on having to wear anything in bed. The tracker can be either wall mounted or sit on your bedside table and detects heart-rate, breathing, chest, limb and general body movement, snoring and environmental temperature and humidity sensing. 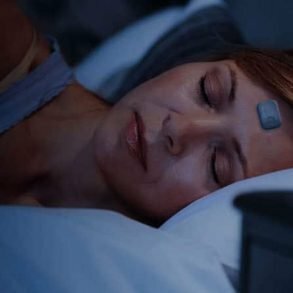 Although Circadia uses a similar type of radar technology to the popular Resmed S+ sleep tracker, Siddiqui assures me their device differs considerably. It works up to 8 feet away from your body and can also do multi-person tracking with one device. There’s also a built-in speaker and wake-up light so you can program a smart alarm to wake you in the optimal stage of light sleep, or automatically stream your favourite Spotify tunes when you wake up. In light of the recent launch of Dreem, another advanced sleep tracker, I asked Siddiqui whether he thought it was necessary to have EEG (brain activity) tracking in order to accurately measure and diagnose sleep problems. “I completely disagree with that. In a PSG [polysomnography] study you don’t just attach EEG sensors. You attach EOG, EKG, ECG, EMG, you look at your respiratory efforts; you look at your Sp02 levels. I’ll give you an example. So there’s three big sleep problems. Number one is the most common one which is insomnia. Number two is the most undiagnosed one, which is sleep apnea, and then the third one is delayed sleep phase syndrome, including jet lag and social jet lag, etc. Now, if you look at how insomnia is assessed and diagnosed to this day, it’s done through questionnaires. You don’t need brain wave technology to diagnose if someone has insomnia or not. With regards to sleep apnea, yes you can get an understanding of what is happening to their sleep stages by looking at their brain waves. But to detect sleep apnea you need to actually understand someone’s breathing rate and their heart variabilities. .. the final thing which is, delayed sleep phase syndrome, that can be detected using questionnaires as well. And it’s just a chronotype questionnaire. So, I don’t think, you need brain wave technology. Indeed Circadia’s scientific report says their device has an accuracy of 98% for respiration and 91% for sleep-staging – compared to the gold standard of sleep testing, polysomnography. Science is at the forefront of the Circadia mission hence they are not shy in making claims about the efficacy of their product. The company plans to release a white paper outlining the findings and research methods behind their claims. This focus on scientific credibility is part of Circadia’s drive to be part of the lucrative digital health market and to gain FDA approval by 2019. With regards to scientific advice, the Circadia team is in pretty good hands, with 4 academics on the advisory team, including the world-renowned Professor Russell Foster, whose group made the ground-breaking discovery of a third type of vision receptor in the eye, responsible for synchronizing the body clock to the external world. Circadia is very much a connected device. With all the usual smart home integrations built-in, it can talk to IFTTT, Nest and Apple HealthKit to automatically create the most conducive sleep environment. 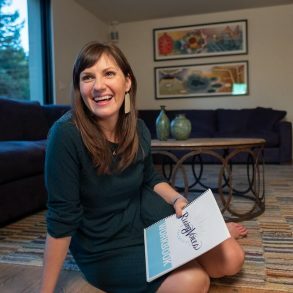 “If people don’t want to buy the light therapy device and they just want to buy the sleep tracker, through our mobile app that will able to purchase the CBT program, as an in-app subscription. Off the bat you’ll be able to get free relaxation and meditation techniques. We’re looking at building in auditory tones into the speaker that’s built into the system to help you get your brain state into the right levels, so you can enter your lights sleep phase or enhance your slow wave sleep. “So we don’t view the Fitbit brand as our competitors, we view them as our partners. The C.E.O of Fitbit called us straight after hitting our Kickstarter goal in 72 hours and they’re really interested in talking to us because they realize the importance of this. So we’re going to build a Fitbit API into our system because we want to understand more about how, for example exercise plays an impact on someone’s sleep, and how we can recommend different activities at certain points of the day relative to their body clock to help them sleep better. The team has a busy few months ahead. They hope to do their first production run in September 2017 with the first consumer units being shipped in Q2 2018. “so when someone starts using this product they get a series of questionnaires for a period of five days, that’s it. And that allows us to understand and learn their lifestyle, their habits, their chronotype type, what they do day in day out. This five days of data that we collect allows our learning algorithms to create a very accurate model of how you feel or what the correlations are between your lifestyle and how you feel and your sleep quality. If the system detects that there might be something wrong, if a diagnosis that you might actually have chronic insomnia and you probably need to go see a sleep doctor, or if you have obstructive sleep apnea, or if you’re showing signs of it. We hope to be testing out Circadia soon. Stay tuned for updates.For more information , visit Circadia at Indiegogo.